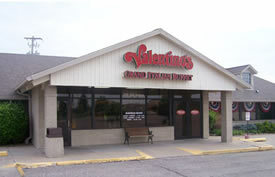 Experience the Grand Italian Buffet and award-winning pizza at Valentino’s Kearney, where we have been serving the community for more than 30 years. We’re open daily for carry-out, delivery, and our buffet, which features Italian and American favorites, fresh salads, sides and delicious desserts. Have a special occasion? Reserve our party room!